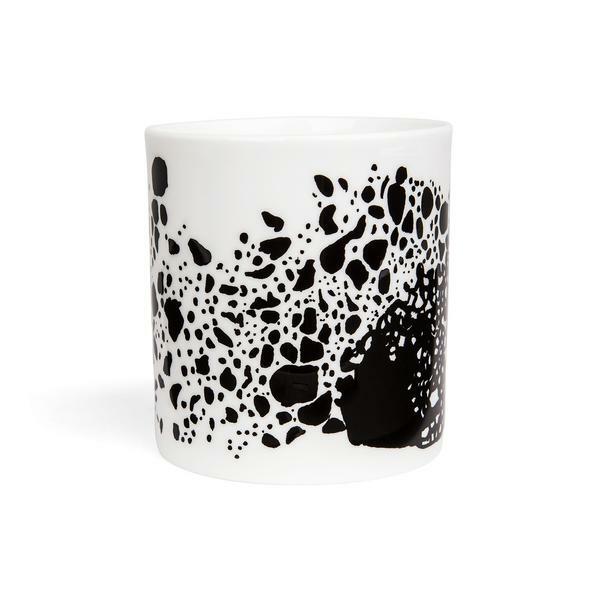 Fine Bone China Mug by Harley Boden. 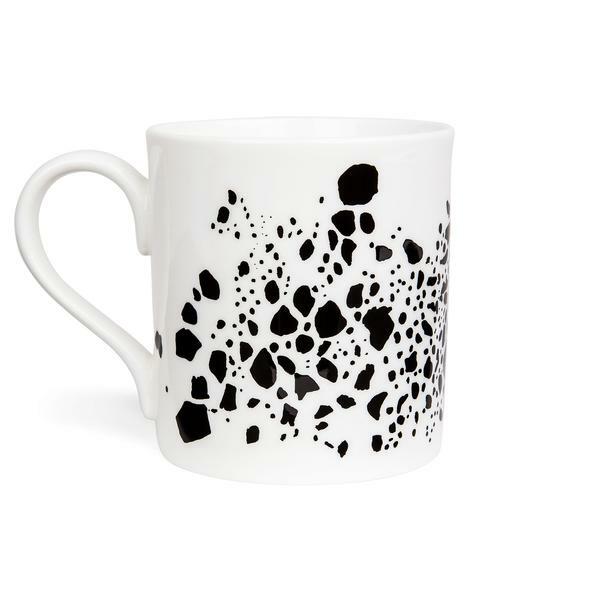 Arran features abstract print of volcanic rock formations. High contrast abstract print with gradient patterning, a continuation on the theme of geology for this collection. 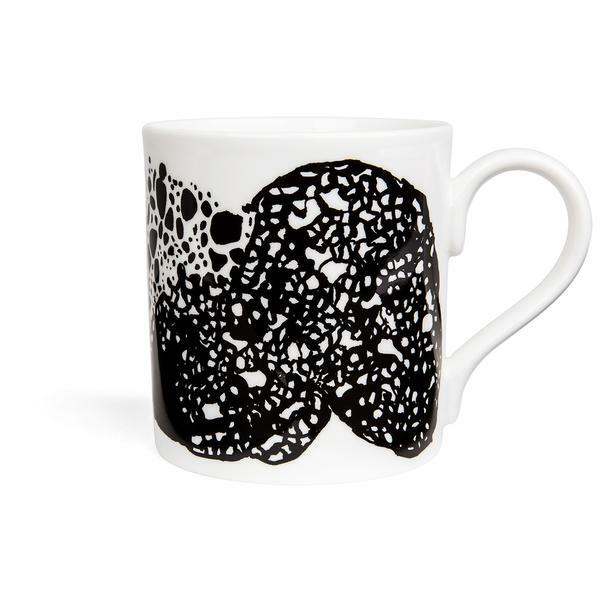 Each mug has been silk screen printed by hand in one of the few remaining potteries in Staffordshire and is made from high quality English bone china.